We were featured on Boston.com! Check it out! 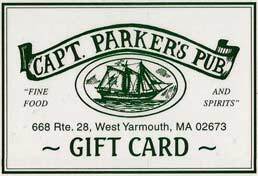 Captain Parker’s Pub is a family friendly restaurant overlooking Parker’s River. 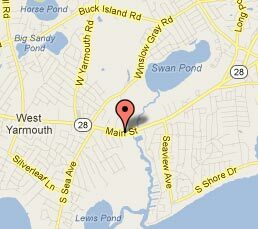 We are open year round and have been serving Cape Cod for over 30 years. We are most famous for our multi award winning, thick and creamy, New England clam chowder. Chowder To Go available 9:00 AM to close. All menu items available for take-out (no take-out 5:00-9:00 PM July through Labor Day). Gluten Free menu items available. A great gift for birthdays, anniversaries, or just because! Not just any clam is allowed to be a Captain Parker's clam!